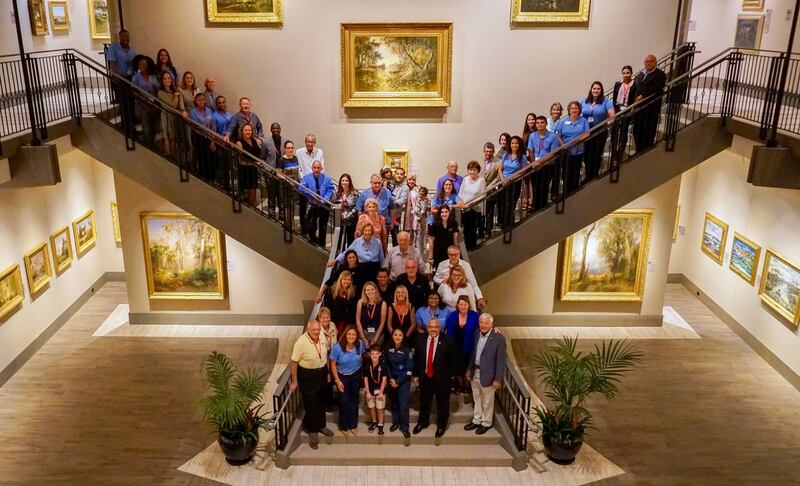 On the evening of September 28, Dreams Soar hosted the “Mission Accomplished” Return Event at the Cici & Hyatt Brown Museum of Art in Daytona Beach, FL. 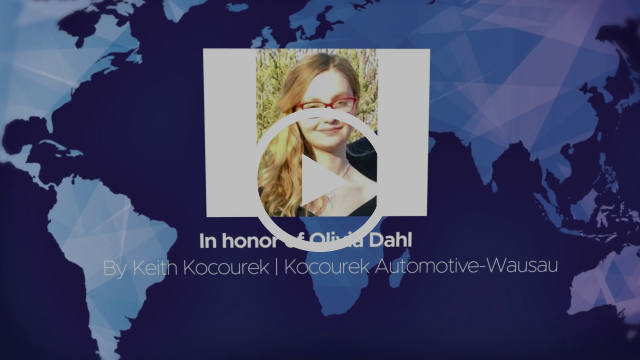 This exciting evening consisted of a VIP pre-reception for our donors and partners, which featured a surprise exclusive video produced by the Dream Team. Nevin, the museum docent, took four groups on a VIP tour of the exhibits as a special treat to the evening. The main event began at 7pm and included several guest speakers and an exclusive with Shaesta as she shared the journey she took around the world. Guest speakers consisted of Vice Chair, Board of Directors, Dreams Soar and Chairman Emeritus of Jet Support Services, Louis C. Seno; Robert Catala, HADID International Services; Vince Mickens, National Business Aviation Association; Jason Plowman and Leora Tasker, Universal Weather & Aviation. These partners were key players along the daily activities and needs of the global flight. 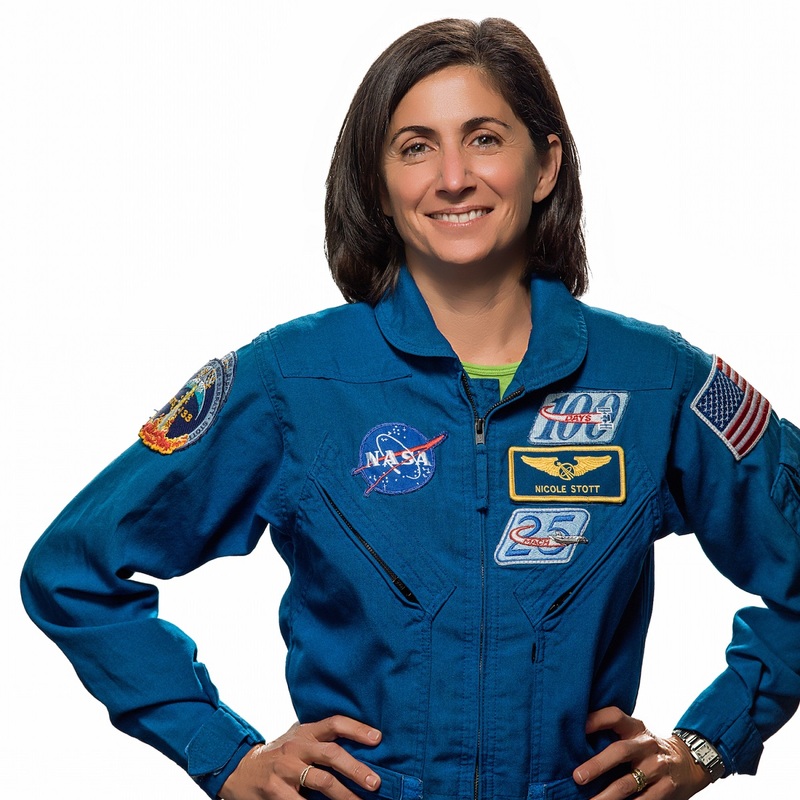 NASA astronaut and friend to Dreams Soar, Nicole Stott, gave a keynote speech acknowledging the value of team work and dedication. 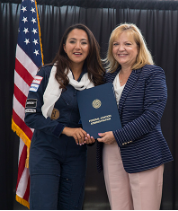 Later, during the event, Jill Meyers, Women in STEM/ Outreach & Logistics Coordinator for Dreams Soar, presented Shaesta with an award on behalf of our team where ‘Capt. Shaesta Waiz‘ will be carved in the Udvar-Hazy Wall of Honor in Dulles, VA indefinitely. Also, Naor Cohen of Stratos Aviation, presented Shaesta with the model of the Dreams Soar Bonanza A36 to include all partner decals and paint scheme! 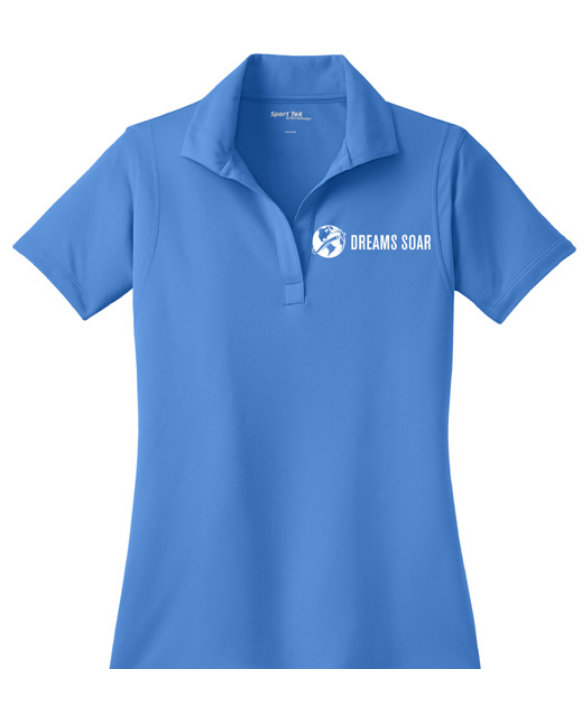 He also further surprised the team with Dreams Soar’s first donation, $2,500, to the scholarship fund. Linda Hall, fundraising coordinator for Dreams Soar, presented three awards to Dream Team members who excelled at an eight-week creative fundraising competition. Award recipients were Naia Butler-Craig, Liz O’Toole and Daimely Lara. See more photos on our Facebook page! Thank you to all attendees of this event, YOU help make Dreams Soar! A special thank you to Tori Carta, Rental Manager, Museum or Arts & Sciences (MOAS), for dedicating time and energy into the planning and preparations of this well-organized and beautiful event! 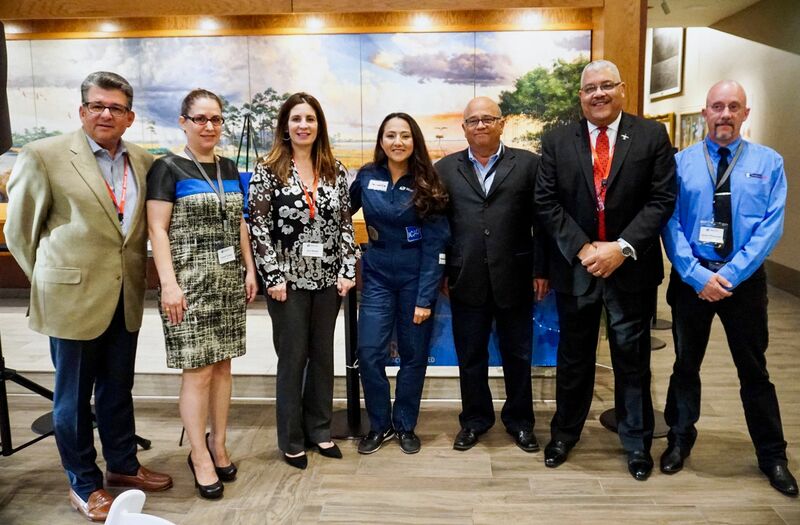 Thank you to Jim Kenney (AlphaGraphics Daytona Beach), Naor Cohen (Stratos Aviation), Sitou Byll-Cateria (Chic-Booth) and the entire MOAS staff for supporting this memorable return celebration. 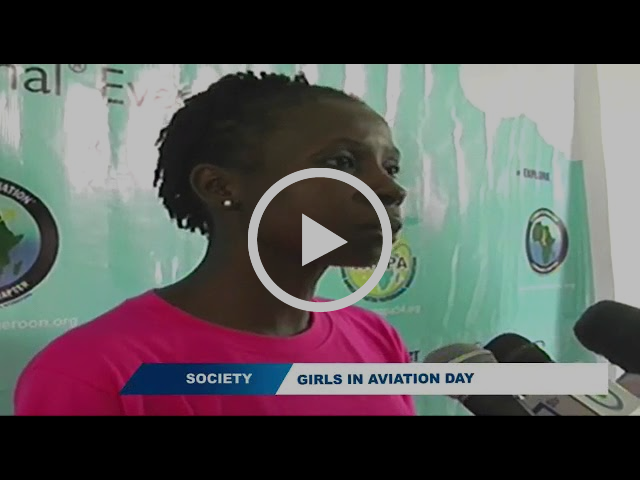 Check out this great clip from a recent Girls in Aviation Day in Cameroon, Africa! 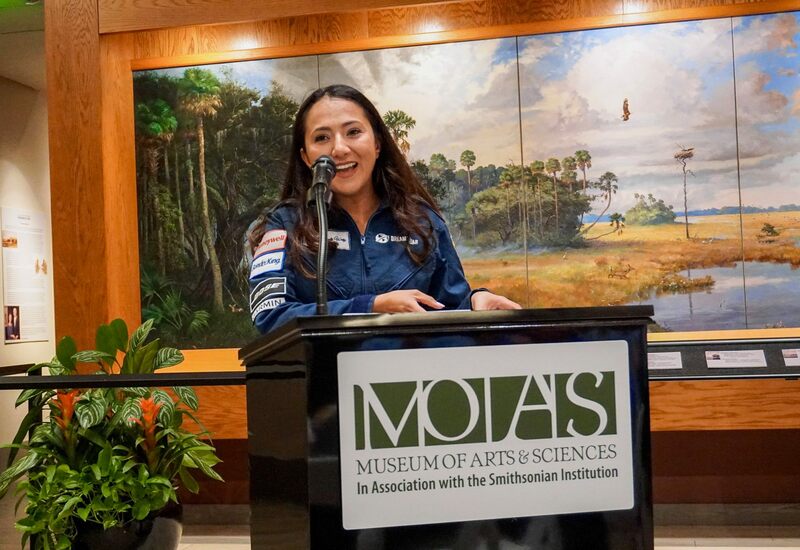 Dreams Soar supporter, Fadimatou Moto who joined us for outreach events in Egypt & Dubai, highlights the work Shaesta Waiz and the entire Dream Soar team did through the global solo flight for STEM. 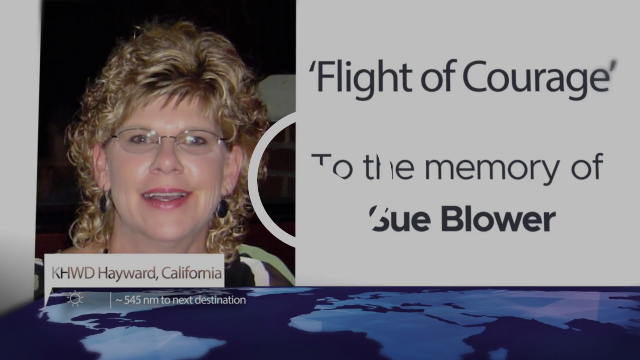 Shaesta Waiz & her Dreams Soar team head to NBAA-BACE, 2017 in Las Vegas, NV to share our mission and impact globally with more than 27,000 attendees and 1,100 plus exhibitors. Dreams Soar would like to extend a very big thank you to our support team at the Hayward Executive Airport in California, the location where Shaesta landed after her historic Pacific Ocean crossing! Thank you to Tom Panico, General Manager of APP Jet Center Hayward. Your aid with Shaesta’s arrival and the Bonanza is greatly appreciated! “Cleared for Departure” With Mather Aviation! Thank you Jamal Hemenway, station manager of Mather Aviation. With his support, Shaesta’s return to the states was smooth sailing! Mather Aviation’s team of aircraft technicians provided excellent service as this was the final scheduled maintenance stop along the global flight. 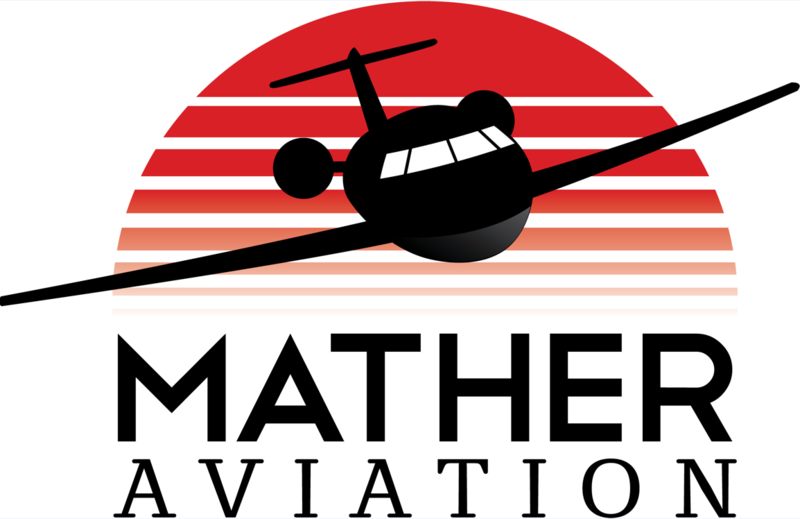 Thank you for your support, Mather Aviation! The National Association of State Aviation Officials (NASAO) featured Sheasta Waiz in their SkyBrief blog. 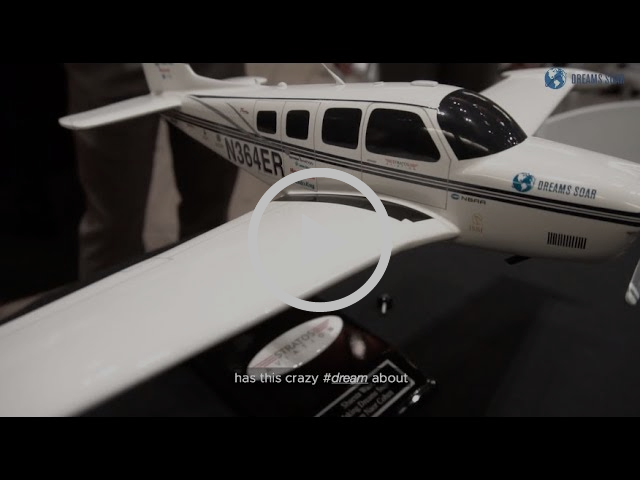 The SkyBrief covered Dreams Soar’s VIP event at Signature Flight Support at Ronald Reagan International Airport. Pictured below is Shaesta receiving an award from Melissa King, Chief Learning Officer, Federal Aviation Administration. 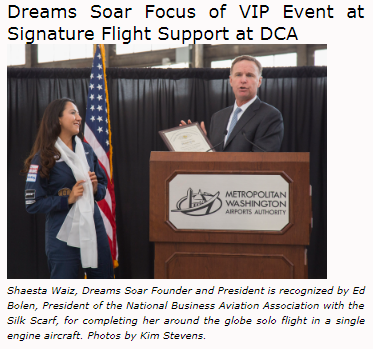 Dreams Soar pilot and founder, Shaesta Waiz, recently spoke at the ICAO NACC/DCA/7 Conference in Washington, D.C. on September 19. 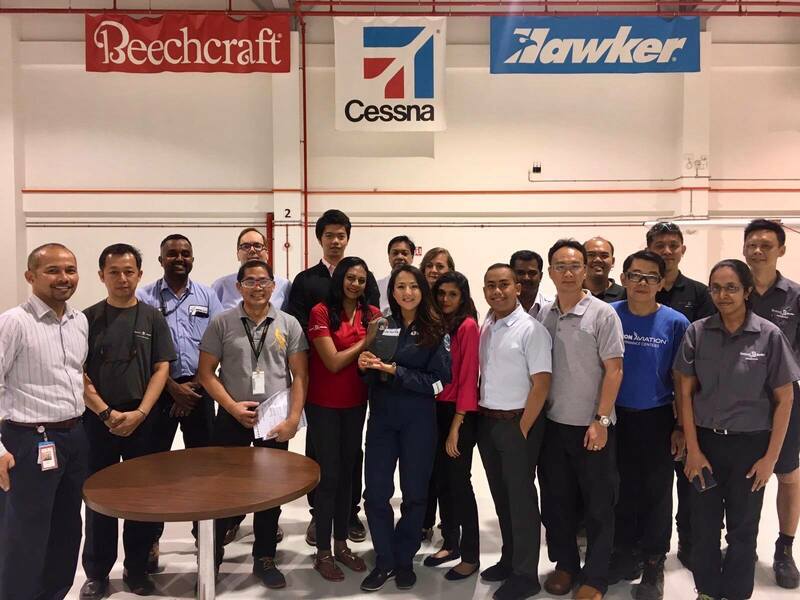 At this event, ICAO recognized Shaesta and her achievement of the global flight outreach program for STEM education. 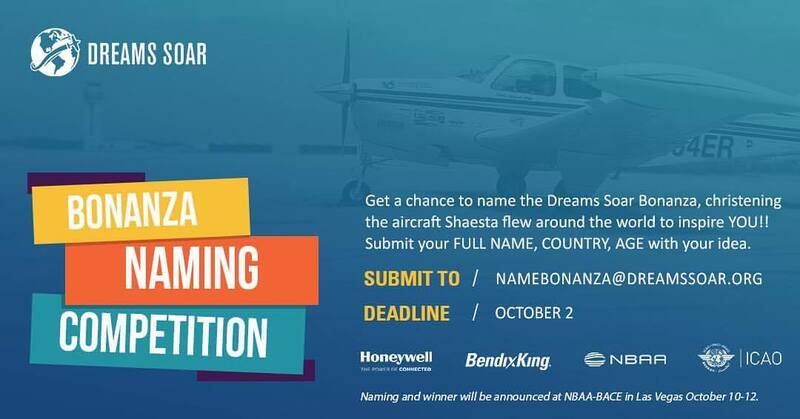 Dreams Soar and its Global Partners ICAO-Honeywell-NBAA have officially launched a competition to name the Bonanza A36 that flew around the world with Shaesta! This competition ends quickly so put your thinking caps on and send in your submissions today! Ages 18 and under. Submissions are due TODAY and will be reviewed through October 5. Nicole Stott is more than just an engineer! She is an artist, an aquanaut and astronaut, a lover of Earth and a hero to many. 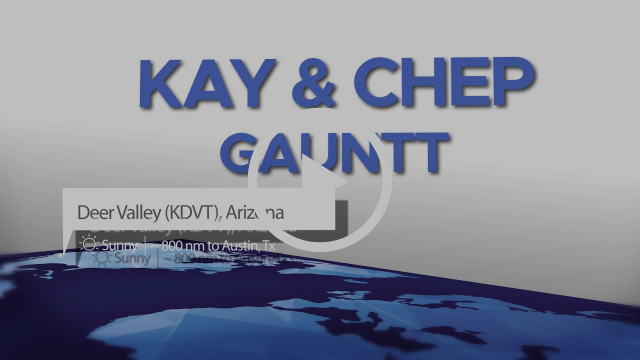 She specializes in many sectors such as structural design engineering, space exploration and aquatic research. Nicole has been on five NASA missions to include the NEEMO 9 mission in which she lived and worked in an aquatic habitat for 18 days. Aside from two trips to space, living under water and being the team lead on many projects, Nicole has a passion for art. Especially when it comes to painting scenes from her home planet. She is the first astronaut to paint in space. Her artwork consists of depicting Earth from space and other aspects of nature. She makes an emphasis on protecting and loving our home planet. Thank you for being a role model, friend to DSI, and a leader for the next generation, Nicole Stott! The Magic School Bus is coming to life! Ten Boys and Girls Clubs throughout North Carolina are going to have the opportunity to experience an interactive science vehicle. Thanks to a partnership with Morehead Planetarium and GlaxoSmithKline, the initiative “Science On Your Street” will allow a week of science training. The science van consists of 3D printing, robots and many other Science, Technology, Engineering and Math activities.